The DPS Running Club donated $1,743 to the American Red Cross as part of its “Run for Relief” fundraiser last month. The students, who meet twice a week before school to run together, obtained sponsors who were willing to pay them for every lap ran over a three-week period. Runners logged all laps run and then collected donations from their sponsors. 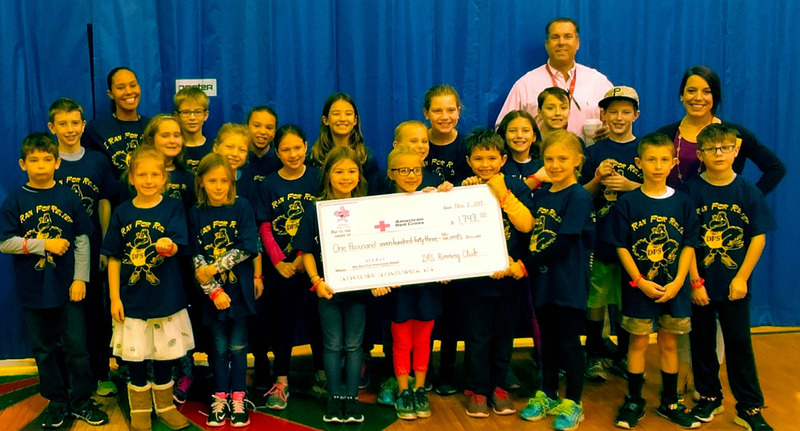 The Running Club students presented a check to the Red Cross at a special breakfast in the school gymnasium on Friday morning. They wrote thank you notes to their sponsors and learned about how the money will help people affected by hurricanes. Special thanks to all of the sponsors and to Dunkin’ Donuts and Bruegger’s Bagels for donating breakfast.